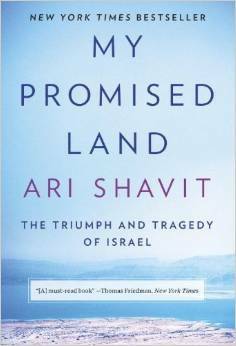 My Promised Land is a controversial, thought provoking and important read for those wanting to understand the Middle East from an Israeli perspective. The well known Israeli journalist, Ari Shavit, weaves a delicate story of the ever changing doctrine of Zionism from its utopian non-sectarian, communist vision of the early 1900s to its current identity of self-preservation. He shows a modern Israel stripped of its stereotypes and what it really is — a country mired in an identity crisis. A place that is part-libertarian, hedonist, Orthodox, Western European, Middle Eastern, and everything inbetween. These competing forces along with the ominous threat of a much larger Arab community around them leads Shavit to be cynical of Israel’s future. The story of the forced expulsion of the Arabs from the city of Lydda is the shocking highlight of this book. This may be the most controversial as well. Shavit claims that Israeli based soldiers massacred Arabs and caused further deaths during the forced exodus of the residents. The homes, cars, businesses and all that the Arab residents owned were confiscated and pillaged by the Israeli conquerors. The people of Lydda were never allowed to return. Martin Kramer refutes this in an article entitled, What Happened at Lydda for the Jewish based Mosaic. However, Kramer omits any recognition on the death march or expulsion of the Arabs from their community, nor address that they were never allowed to return. Lydda is just one example among many others shown in his book. Shavit offers these historical travesties unapologetically. He doesn’t like this history but never goes beyond being trite. He takes the role of an intimate narrator and offers little solutions or apologies. This attitude can be understood later on in his works when he outlines the Israeli mantra of self-preservation. This appears central to the Israeli psyche even if it is often irrational. My Promised Land is a story of the oppressed turned to oppressor. It is puzzling how this reversal occurred. Shavit often touches on this, and teases the reader, but does not adequately tie this part of the plot together. The book begins to lose momentum after the historical portrayal of Zionism and shifts into contemporary observations. This is the same problem found in Michael B. Oren’s bestseller, Power, Faith, and Fantasy: America in the Middle East 1776 to the Present, whose factual accounts and writing style were very engaging until he reached the history relating to the formation of Israel from 1948 until the present. The romantic stereotype of the modern Israeli and their Masada mentality is also broken by Sharit. It is not the religious symbolism, or the prophetic voice that has integrated Masada into the Israeli psyche, as most Evangelicals or Christian Zionists are led to believe, but an alternate identity based on the recent past, not the historic religious one. Zionism is charting its own identity regardless of external stereotypes or expectations and seeks to define itself on its own terms. Shmaryahu Gutman, according to Sharit, observed in the early 1940s that Zionism was losing its mission and needed to redefine itself. Masada was the answer Gutman was looking for. Gutman succeeded in instilling this image within the Israeli soul — a perception that many non-Jewish readers may easily overlook. My Promised Land fortunately covers this important aspect in a comprehensive and modern way. Hope is not found in this book, rather it is one of skepticism. The current roadmap to him is more war, not negotiation — not that he entirely subscribes to this, he simply believes it is inevitable. The rise of Iran’s nuclear program is one of his greatest fears for the future of Israel. He neither makes any moral call for repatriation of the Arabs forced out of their homes by gunpoint, nor of compensation to their losses, or dismantling illegal settlements. It is also a tale told from an isolationist perspective. When Shavit outlines the Israeli nightlife along with its sexual and hedonistic offerings, he thinks it an internal reaction to the problems Israel faces rather than recognizing the external forces that have molded the modern Israeli identity. Neither does he recognize the historical political and religious effect of Evangelical belief that played an integral part of Zionist dreams. Unlike Sharit’s caricature, it wasn’t Jewish Zionism or hardiness alone that succeeded in their settlement of Israel. It was cooperative effort that included a variety of foreign sources that made it happen. This self-determination that Shavit describes may be the source of the Israeli success over such great odds, and can easily be titled modern miracles, but this can also be a serious weakness. This is something that the author failed to take a close look at. He also believes that the introduction of Hebrew as the primary language in Israel has significance in stripping Jewish immigrants of their past identity and forcing the formation of a new Israeli based one. My Promised Land slightly picks up some momentum towards the end but much of the second half of this book could have been significantly reduced in length. This book is especially recommended for the Evangelical reader who has many default stereotypes about Israel and its people. This book will help build a proper modern understanding.